Endess+Hauser reported at Hannover Messe 2019 on April 2 that it's joining seven leading suppliers from mechanical engineering, industrial automation and software to jointly found the Open Industry 4.0 Alliance to create an open ecosystem for the digital transformation of industrial plants. The partners report that they want to cooperatively overcome proprietary solutions, and give a decisive boost to the digital transformation of the European industry. Founding members of the alliance are Beckhoff, Endress+Hauser, Hilscher, ifm, Kuka, Multivac and SAP. In principle, the alliance is open to all companies, and Balluff, Gebhardt, Pepperl+Fuchs, Schmidtsche Schack, Samson and Wika have already joined the alliance as members. All companies are mutually committed to the creation of a standardized and open ecosystem for the operation of highly automated factories and process plants with the integration of logistics and services. The alliance's members are planning an Open Industry 4.0 Framework based on existing standards, such as I/O Link, OPC UA and RAMI for the entire route from objects in the workshop to services. Users will be able to choose from a modular system of compatible and scalable solution and service components, such as digital services from Endress+Hauser’s Netilion IIoT ecosystem. Get news like this in your inbox. 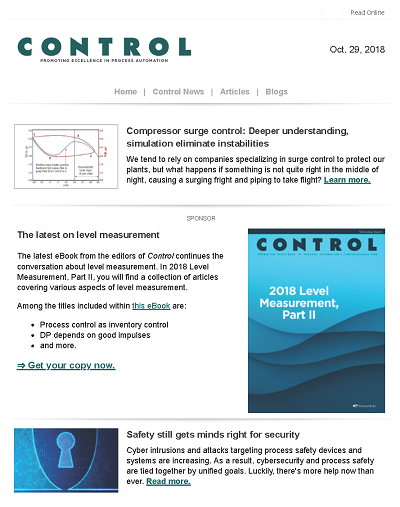 Sign up for the Control Update newsletter.